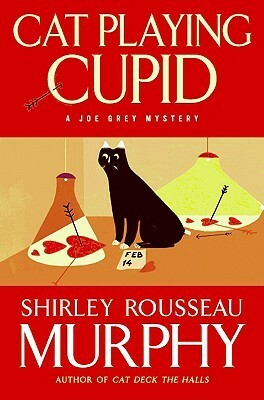 This fourteenth outing for the Joe Grey Mystery Series was both fun and intriguing for me. While I haven’t read the full series yet, I did read the earliest books and was quickly drawn into this wonderful world where some cats can speak and think on par with humans, while others cannot. Miss Murphy keeps each story building on this mystery either slightly or heavily. In this case it was more heavily focused on while at the same time dealing with a classic whodunnit. What is the connection between a body, dead 10 years, up in Oregon to the mysterious disappearance of a local man who was going on a hike locally? And when a second body, also dead some 10 years is discovered in an unmarked grave, the big questions arises to this person’s identity. Could this one be the missing local man? If not, then who is it? And why were they buried with a book that frightens the cats, because it contains hints about them? These are just a few of the questions that arise in this book. We also get to see a bit more of the lives of some of these intelligent/talking cats. Not all wish to live among humans. Many are feral and distrustful of humans. Yet they understand that there are some they can reach out to for help in a major crisis. The scenes where the ferals reach out to those they believe they can trust can be quite touching and moving. We see their point of view of their world, as well as the humans viewpoint. We may not entirely agree with either side but the author gives us food for thought. She makes us take a look at some of the relationships we’ve had over time with people in our own lives who had very different ideas about themselves and the world. Another nice touch to these books is that they do not focus solely on the cats themselves but the people in their lives. It is an ensemble piece that keeps growing and evolving, along with the characters themselves. We are slowly introduced to more and more of the many residents of Molena Point (which is modeled upon Carmel California where the author resides). This is an excellent series that keeps you coming back for more. You’ll find yourself cheering for the cats and their people, as well as a number of the secondary characters who keep the series growing. One of the more feel-good mystery series you want to curl up with on a quiet day and maybe make you wonder about any four-footed friends in your life.